The end of the month is just a day away, but that doesn't mean it's too late to get your June releases out to the public. That's just what Zenit Miniatures has. 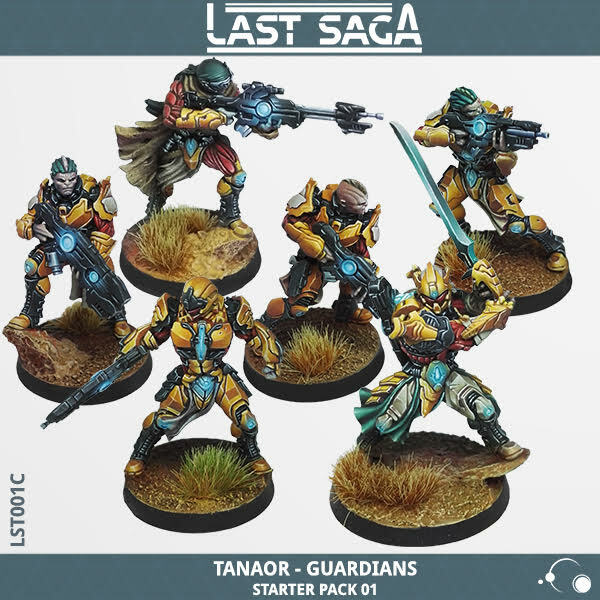 If you're a fan of Kensei or their new sci-fi game, Last Saga, they've got new releases available for you, from individual models to army deals. 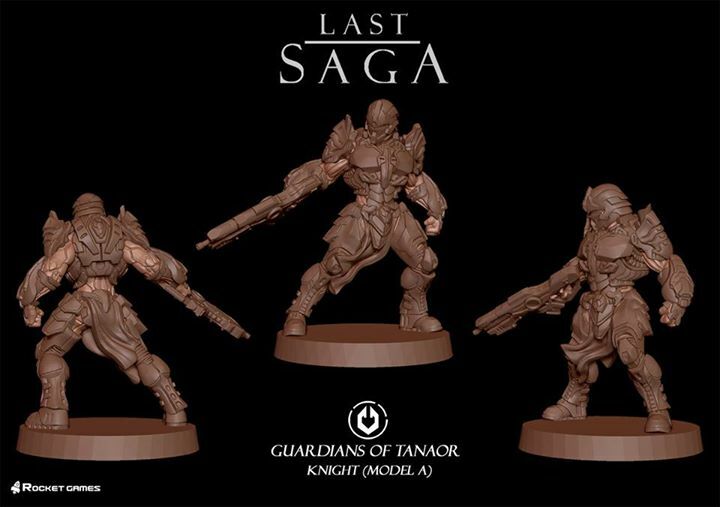 Zenit Miniatures has a new sci-fi miniatures game out called Last Saga. The first two starter sets, as well as an expansion pack and a single blister are all available in their webshop. They've also got the rulebook up (beta version) that you can download and check out. There's only one thing with all of it... it's in Spanish. 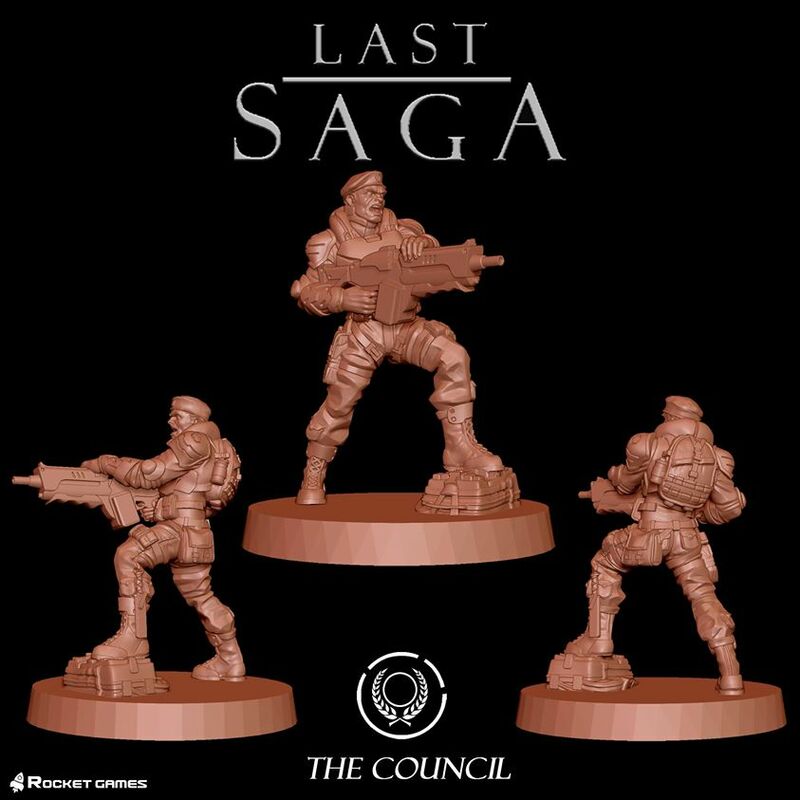 In yet another installment of "that game's over here now," Zenit Miniatures has acquired the commercial rights to Last Saga, the sci-fi miniatures game by Rocket Games. 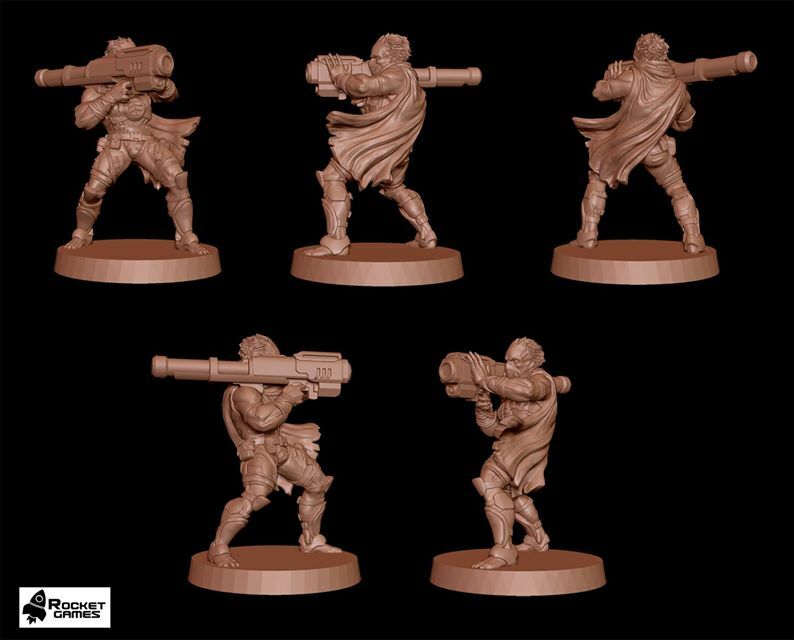 Rocket Games will continue with creative development of the miniatures range and of the game, but it's going to be available from Zenit Miniatures. It's a cold, rainy Sunday here in Atlanta. Perfect weather to stay inside and do some gaming. 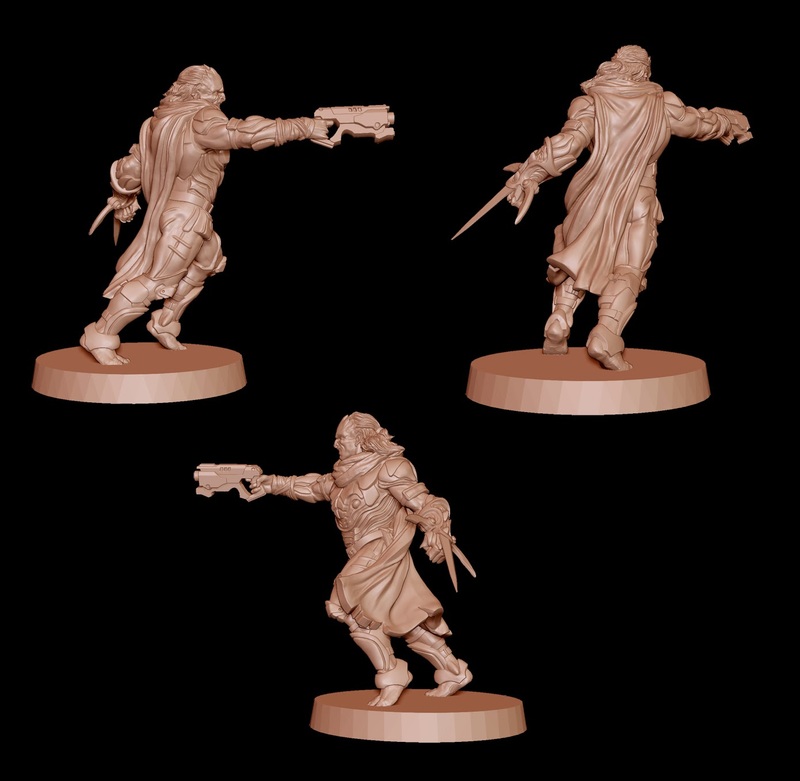 In today's News Snippets we've got a look at some greens from AntiMatter Games, an update from Rocket Games about Last Saga's model-making process, new survivors added to RN Estudio's Survivor Indiegogo, new Valksburg Grenadiers from Mad Robot Miniatures, and more! Rocket Games posted up some new 3D renders for Last Saga for everyone to check out. Rocket Games gives us quite a lot to look over with their latest releases. 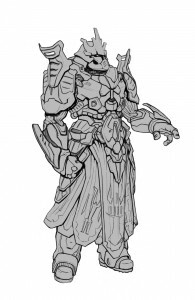 We've got some new model previews, some preliminary rules, as well as a new army list to check out. 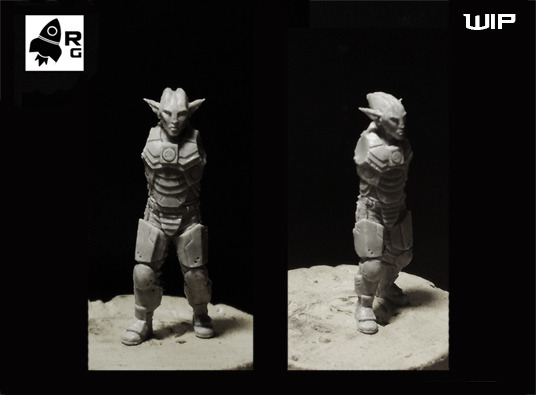 And new model for Guardians of Tanaor: Maestre. 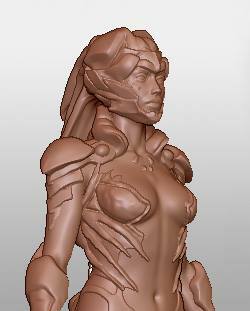 Rocket Games gives us a look at some more Last Saga WIP 3D renders that they've been working on. 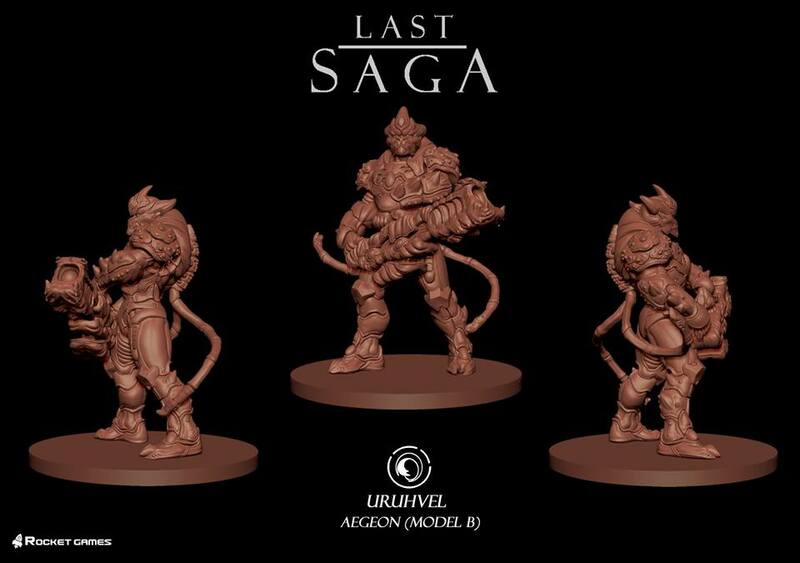 Rocket Games is showing off some more 3D renders for Last Saga. 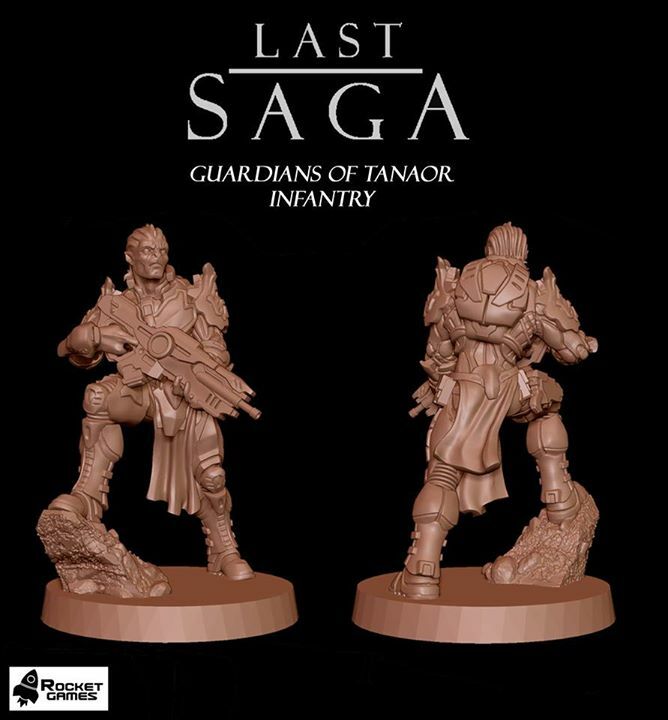 Two new models for Guardians of Tanaor; Exiled and Knight. 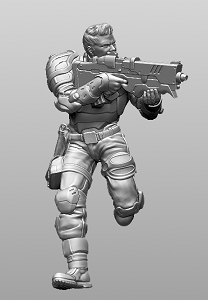 Rocket Games posted up a trio of infantry 3D renders for Last Saga for you to enjoy looking at. The three first models for the Guardians of Tanaor faction are already finished! These belong to the three Infantry units contained in the Guardians of Tanaor starter pack. 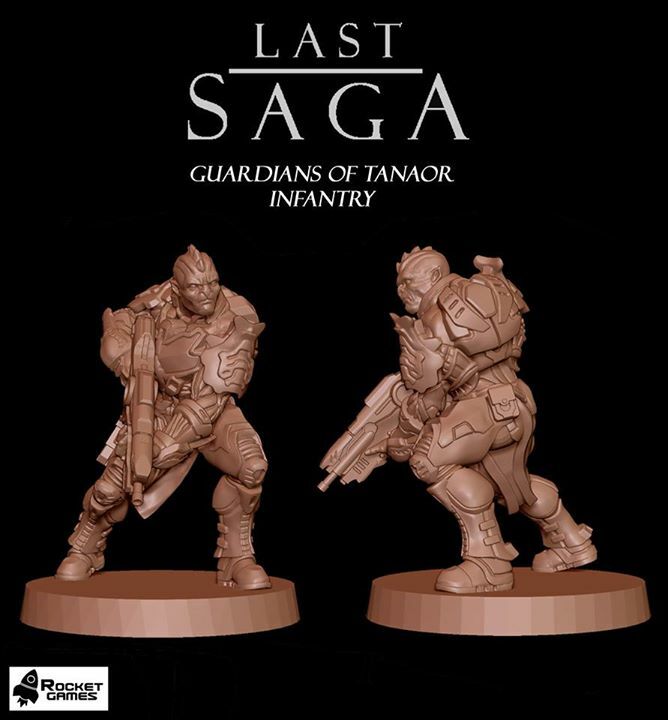 Rocket Games posted up some more 3D render previews for Last Saga. 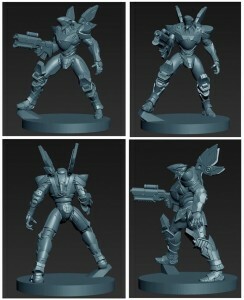 Rocket Games posted some more 3D render previews for Last Saga over on their blog. 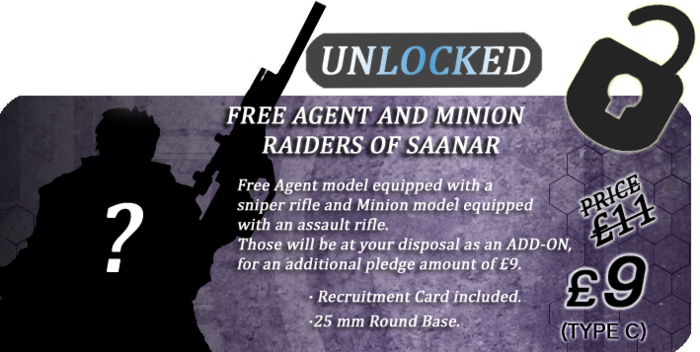 Two new models for Last Saga: Guild Assassin for Raiders of Saanar and Undaunted for Uruhvel. 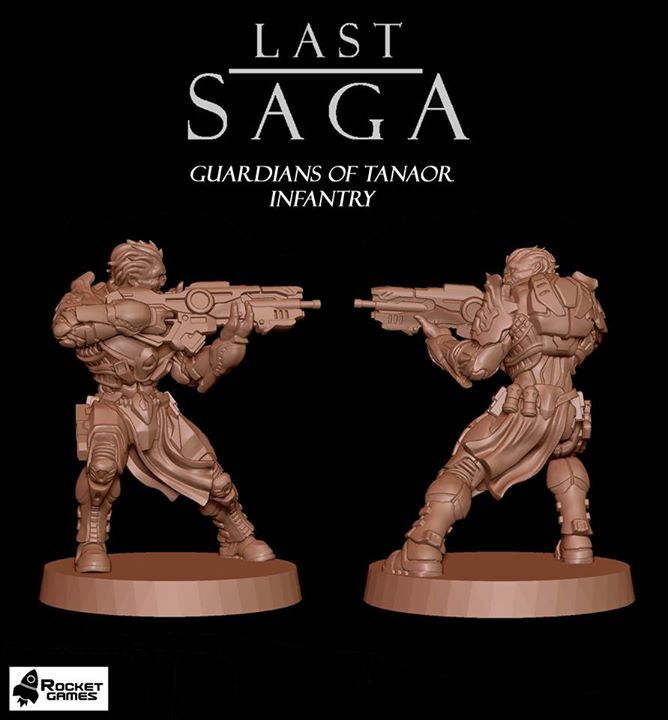 Rocket Games has posted up new preview rules for Last Saga over on their Kickstarter page. On the Status Report you can find the updated information of the works, including the state of the post-campaign pledge manager, the miniatures and of course, the release of the beta v0.2 of the manual. 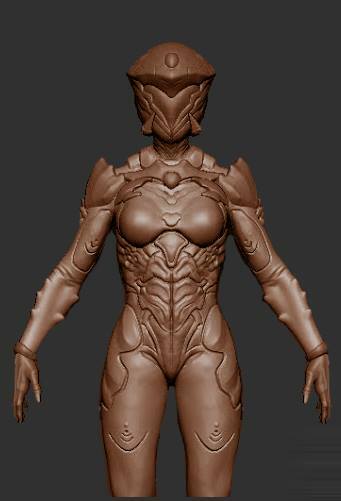 Rocket Games is showing off some more render WIPs for Last Saga. 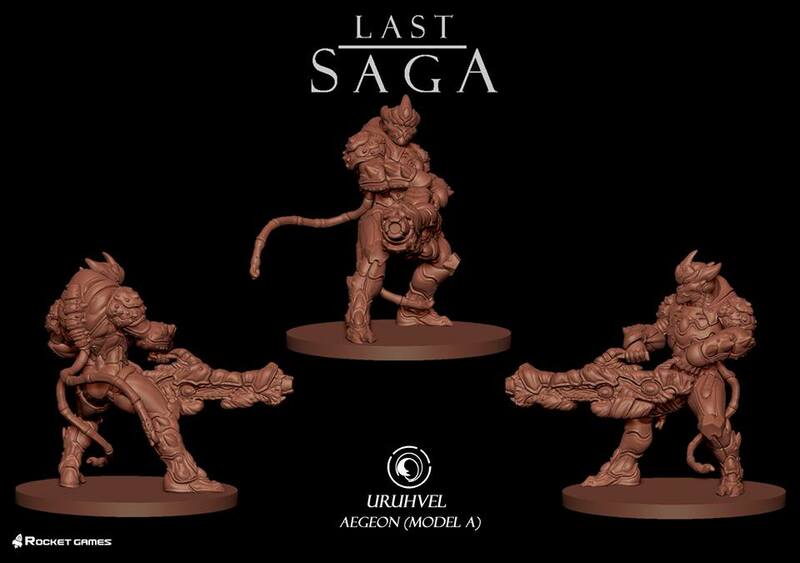 If you missed the Kickstarter project for Last Saga, you can join now! Pre-order is open. 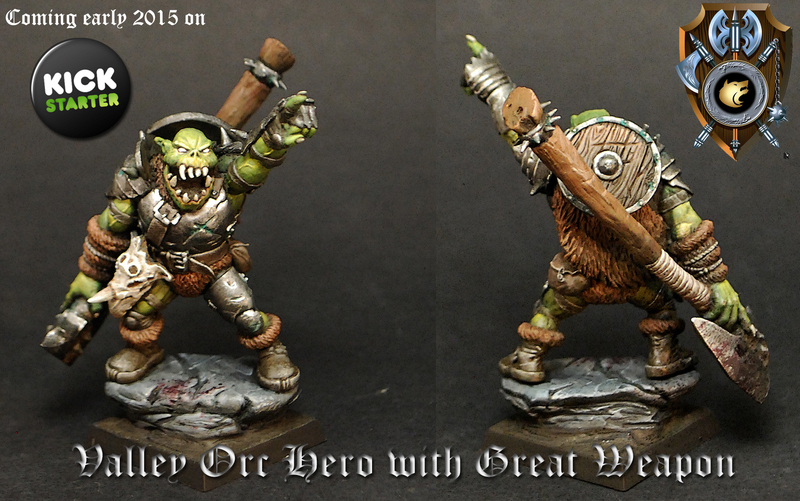 And more WIP for Uruhvel and Raiders of Saanar. 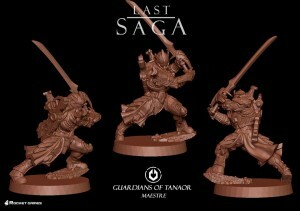 Rocket Games has some new 3D renders and concept art up for Last Saga. • Free Agent concept art. 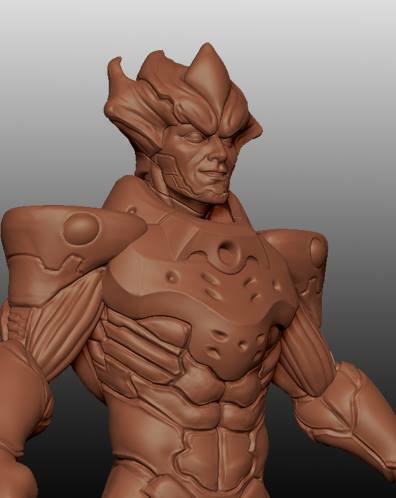 Rocket Games is showing off the first few renders of their Dragon armor suit for Last Saga. The Dragon model is finished! Some details changed a little from the WIP you saw, fundamentally constructive ones on its joints to give it more sensation of movement. The miniature will be composed of 10 different parts: the head, torso, hips, left arm, right arm, left leg, right leg, the two winglets, and a set of rubble (this last part not 3D printed but molded with putty later). This will confer freedom at the moment of the mounting, permitting different positions. In the future, we plan to release a tutorial of "How to t?r?a?i?n? mount your Dragon", to show the complete process. 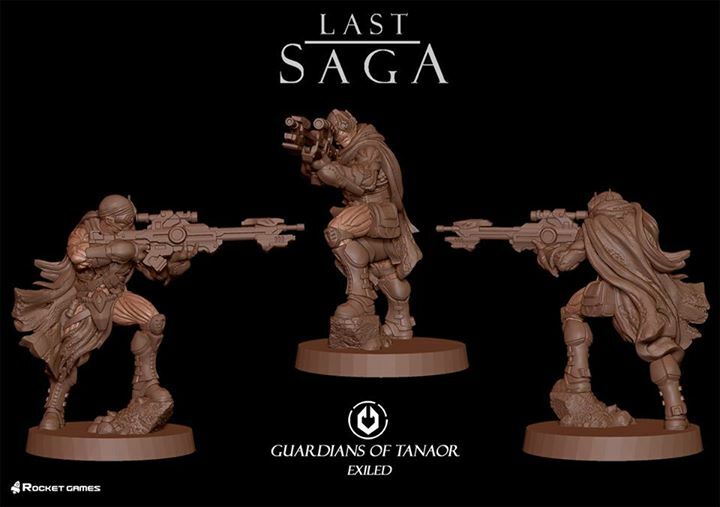 Rocket Games has another pair of Last Saga preview art pieces up on their Kickstarter page. Today we have the concept for Curator! The design just arrived from the Crafters Guild of Tanaor, made by a legendary Artisan: Marcos Raya Delgado. 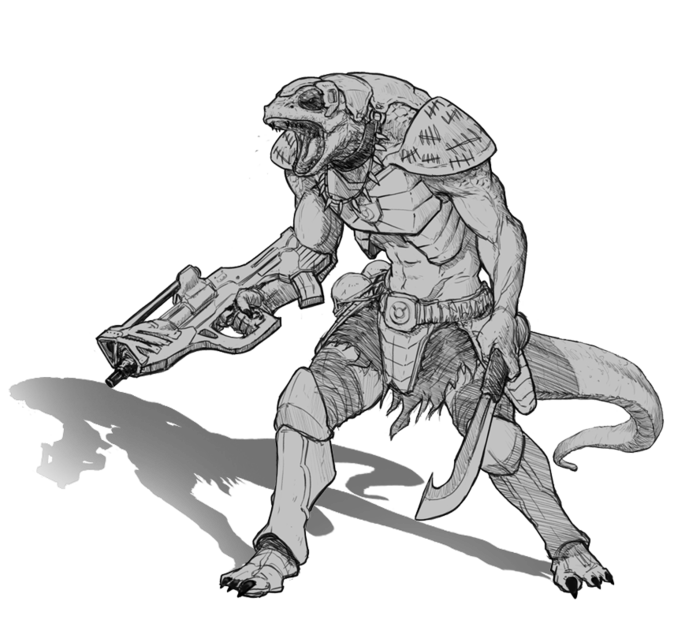 We present the Serestian Pester concept art, by Marcos Raya. This vicious breed works willingly for the Sovereign Empire, hungering for new preys to devour. Very fitting for the Sovereign Empire standards! 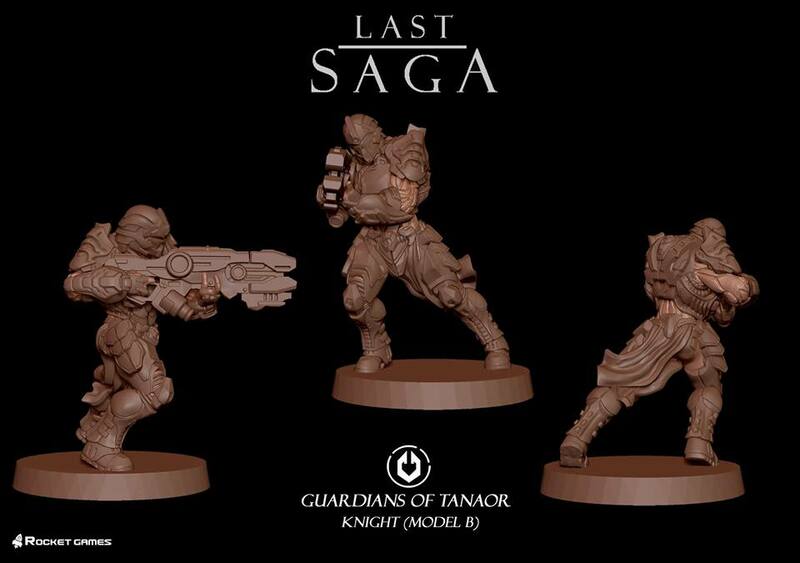 Rocket Games is showing off some new Last Saga renders and sketches, letting us know how things are progressing since their Kickstarter. 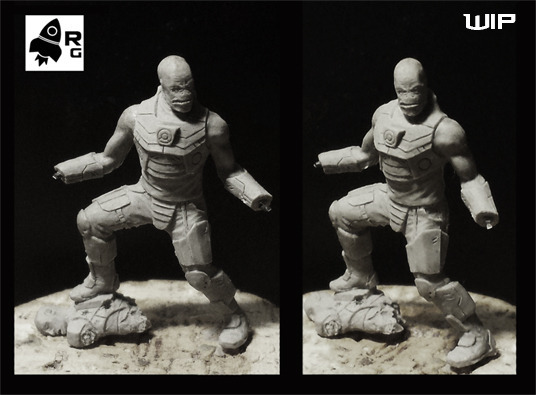 The finished model of the Contractor for Raiders of Saanar and Faceless concept art for Guardians of Tanaor. Rocket Games has posted up some new 3D renders for Last Saga they've been working on. The Contractor model is almost ready. Just remains to add some details and it will be ready to print. The Manticore is here! Only a few final details, and it will be ready for printing. The models for the Council Starter Pack are almost ready, we are eager to have the complete set and start the casting process! 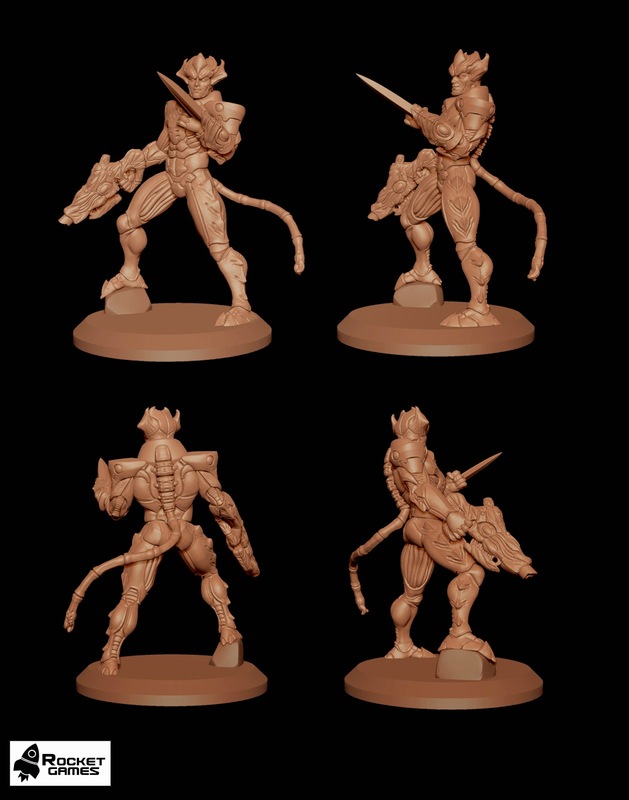 Rocket Games posted up a WIP render of the Manticore they're working on for Last Saga. 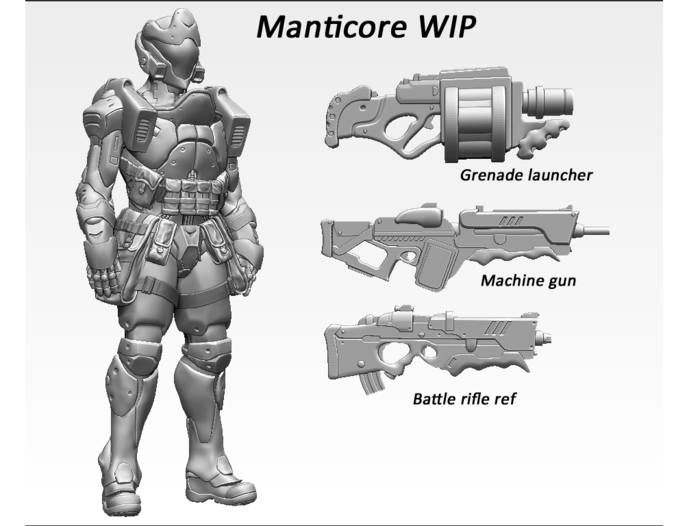 The Manticore model is almost ready. Just remains to add some details and finish the weapons. 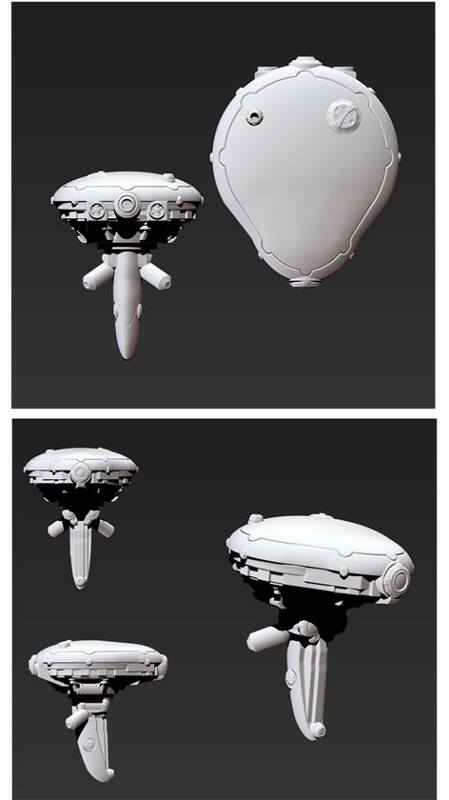 Next step is to give it a cool combat pose and it will be ready to print. Rocket Games are in their last hours for Last Saga. Get in on this new sci-fi game before the clock runs out. 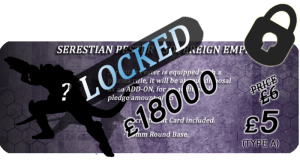 We are adding a new stretch goal! 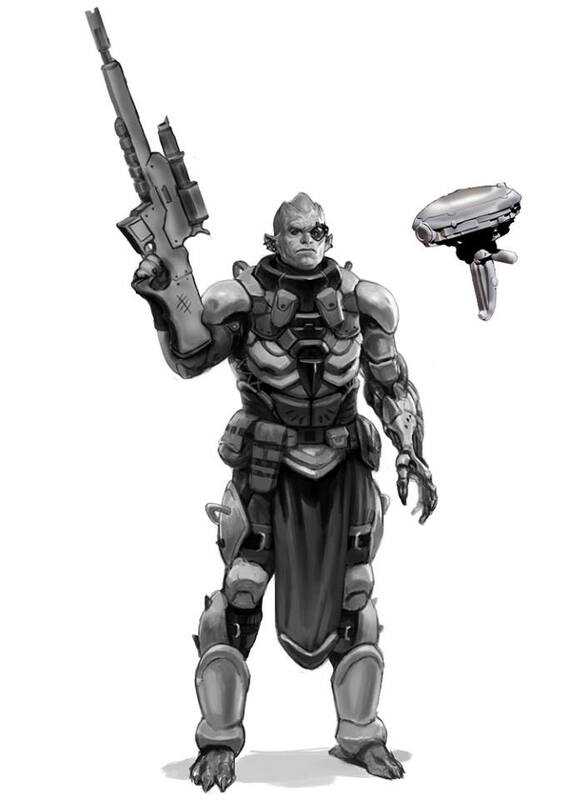 As said, the next ones will feature units for the Sovereign Empire. Unlocking them in the few hours left of campaign would be awesome, but if not, they will during the post campaign period! Rocket Games has just a day left on their Last Saga clock. Join in before the last second goes by. Way ahead of the funding and with new Stretch Goals, this Sci-Fi wargame enters the final sprint. 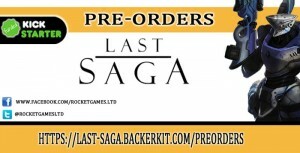 Rocket Games has added new add-ons to their Last Saga Kickstarter campaign. Go check 'em out and help them make it through some more stretch goals. As explained in the Update #60, these are the new eligible addons unlocked! We desired this, allowing a little more balance on the basic options for each one of the factions. 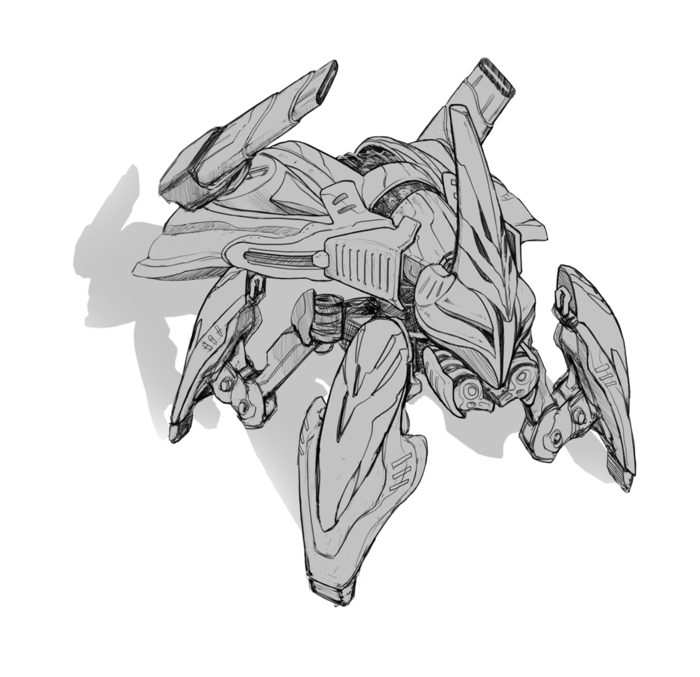 The concept arts for the designs of those units will come on the following days, of course with the high standards we require. Rocket Games is in their last week up on Kickstarter. They've posted some new artwork, new print-and-play rules and a look at the pledge manager they're working on. Now all pledge levels will receive a free copy of the: Last Saga digital art book. 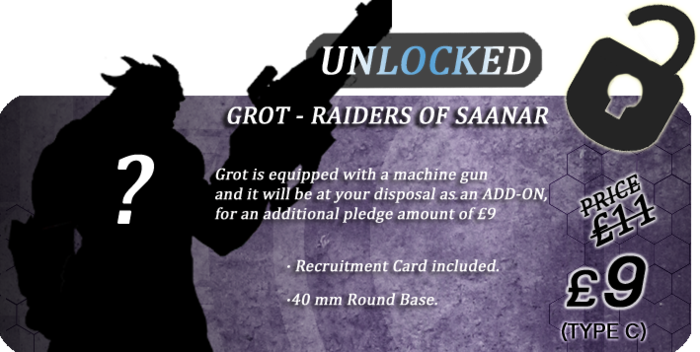 And the new stretch goal "Black Crow" is unlocked. 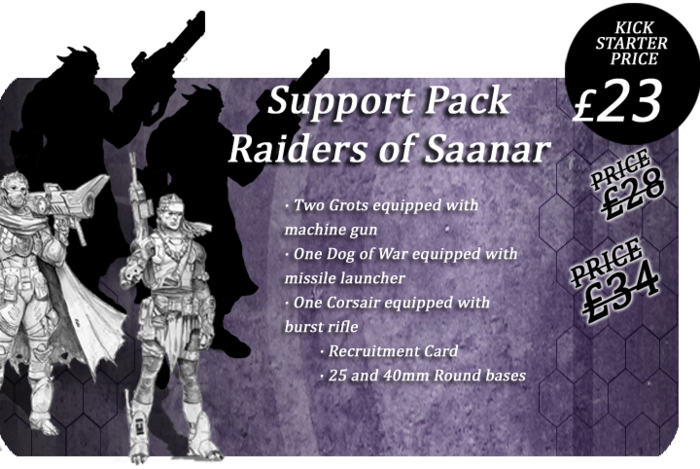 Rocket Games has unlocked a new faction in their Last Saga Kickstarter campaign. 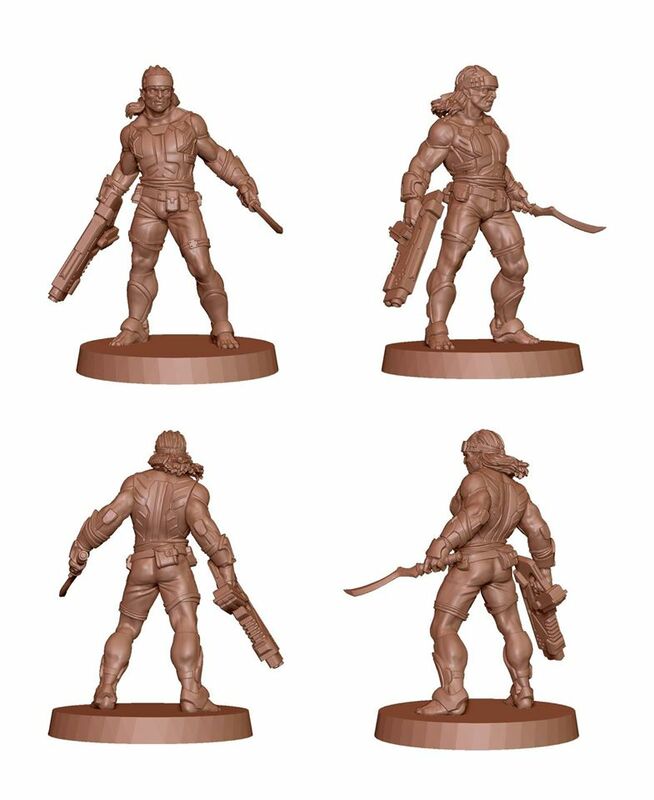 They've also got some WIP sculpts up to oogle. 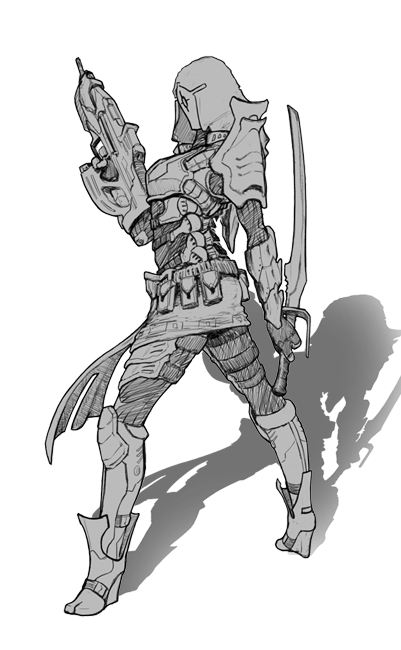 We were preparing an update with the new concept art, to show you another unit of the Guardians of Tanaor starter pack: the Exiled. But breaking news stopped that plan. 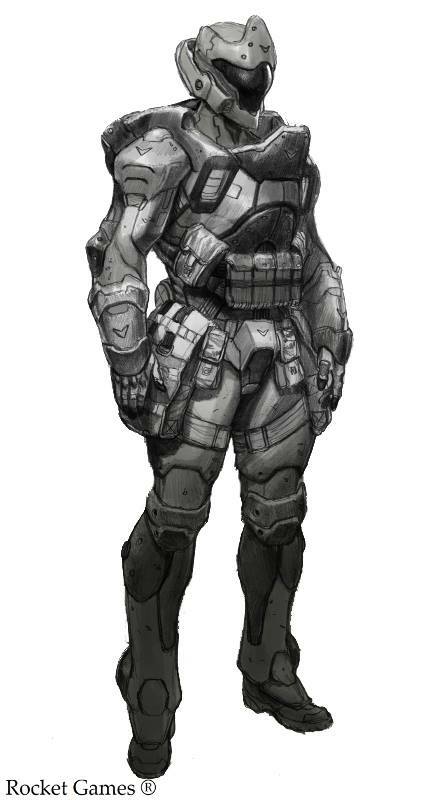 We want to share the works on the fifth faction. We did not plan to release this on the KS, but the incredible work that Mati is doing in his collaboration is going to permit that addition, automatically unlocking its choice as eligible faction for the starter packs and as addon. 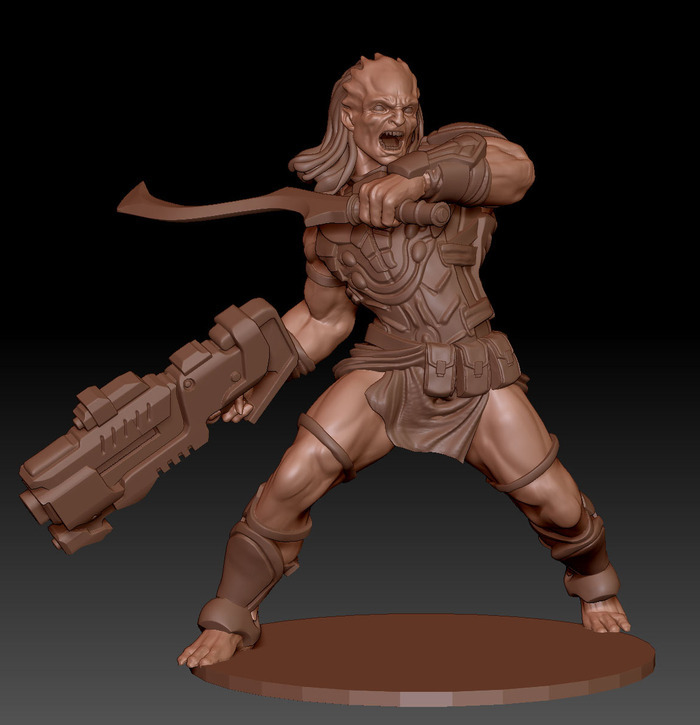 Rocket Games is showing off the 3D renders for the 3rd Fusilier for Last Saga. They've also posted up some preview stats for various units. Lots to check out. 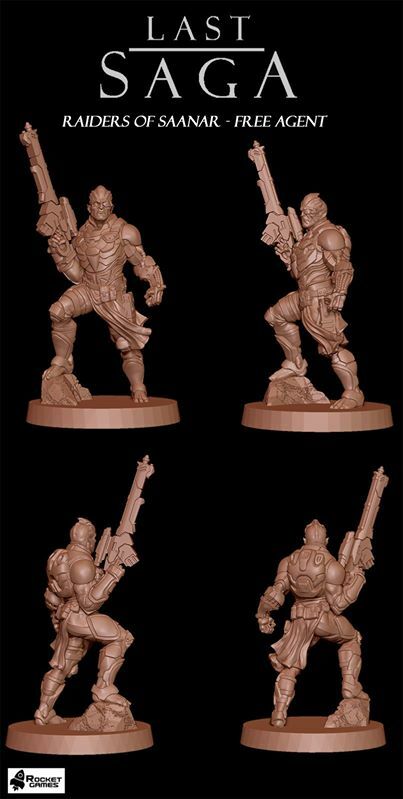 This is the third Fusilier, from different angles to see the level of detail. It will have his arm supplied separately, also interchangeable with the other Fusilier arm models.